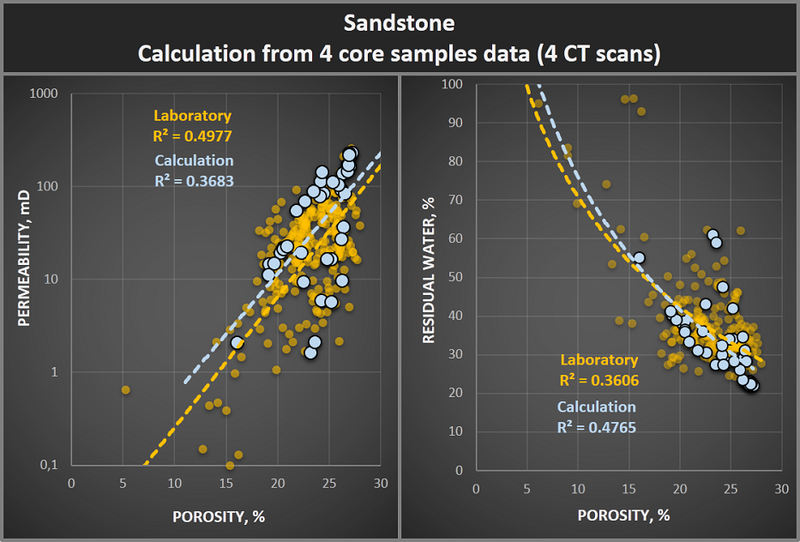 Clear comparison of laboratory and calculation data is a rarity in the field of rock tomographic research. 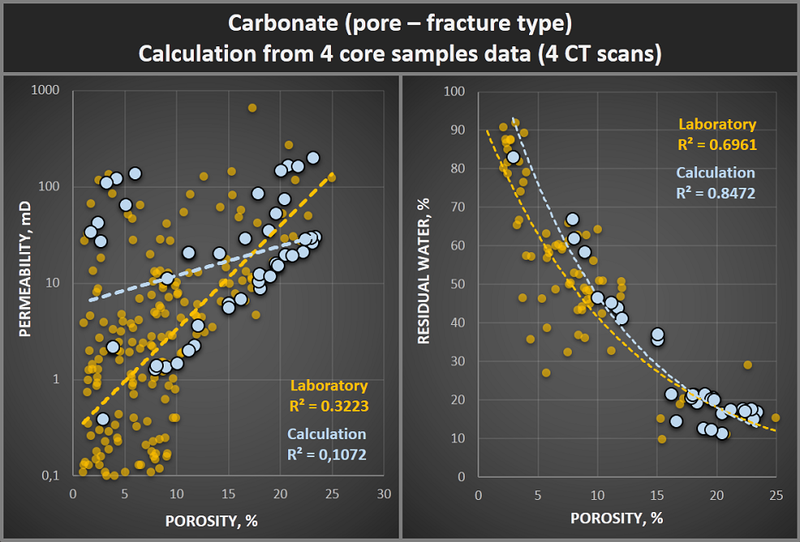 Our methods and algorithms for calculating of porosity, permeability and residual water saturation shown themselves to be universal for real oilfield core analysis. 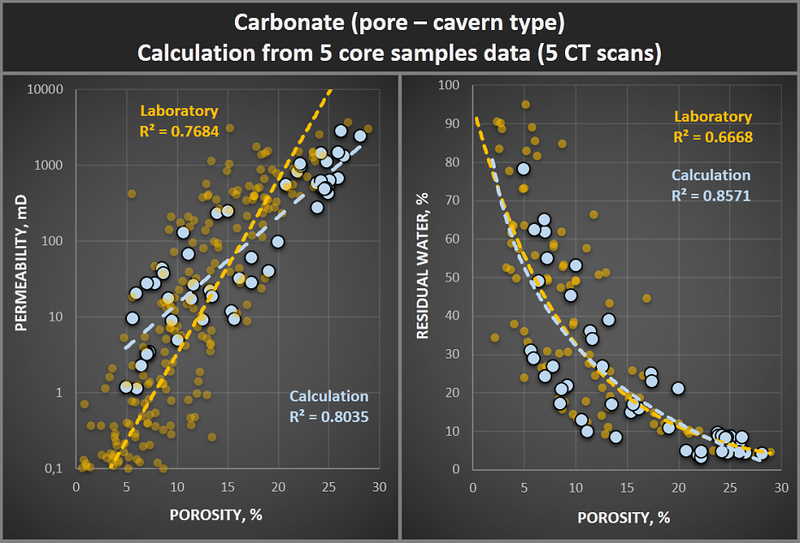 We present comparison of the calculation results with laboratory data obtained by standard methods. 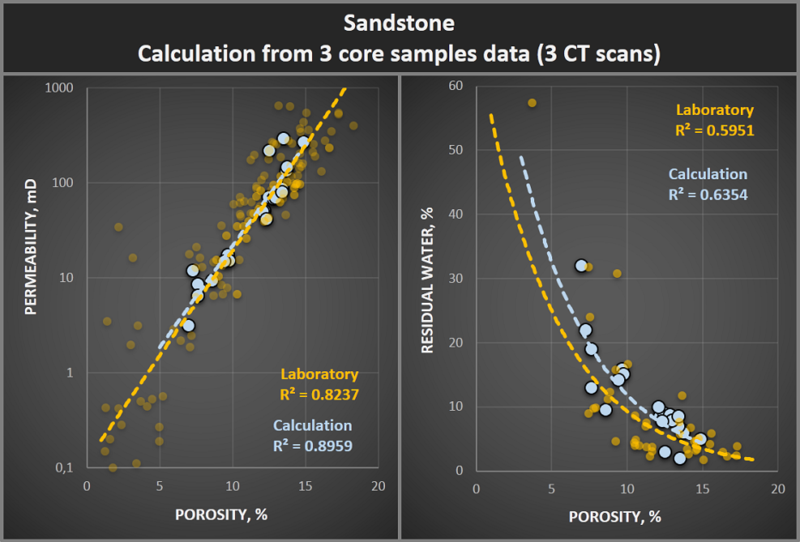 Our calculation methods allow us to obtain trends over a wide range of values, to find out flow properties and capacity of the reservoir rock . We are interested in studying new objects, and we will consider all possibilities of cooperation in this area.